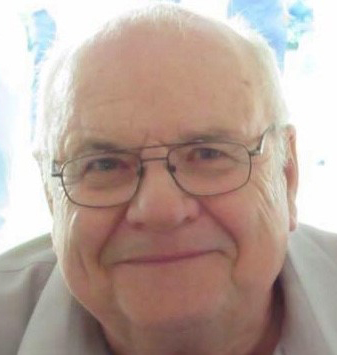 William “Bill” John Danylczuk was born on September 16, 1933 in Neudorf, Saskatchewan and passed away at the family farm on January 29, 2019. It is with great sadness to announce his time on earth has come to an end. He will now grow his amazing garden in another place. William spent 63 wonderful years with his wife Frances. He will be lovingly remembered by his wife Frances (nee Jackson); children Sherry (Doug), Jack (Michelle), Debbie, Renee (Eddie); grandchildren Maria (Max), Tyler (Courtney), Amanda (Brett), Tanner (Aimee), Derek, Brianna, Zrinna; great-grandchildren Amelia and Alex; sister Joyce; sister-in-law Gladys; and dogs Jill and Roxy. William was predeceased by his parents Florence and Alexander; brother Jack; sisters Doreen and Jean; and grandson Nathan; along with others. William loved his family with all his heart and all the grand puppies. He worked in the potash industry for 45 years, with Potash Company of America, and then PCS Patience Lake Division. He was one of the first employees on site to break land and sink the mine shaft at Patience Lake. We will always remember him, sitting in his favourite chair, watching the birds enjoy the food in the bird feeders and the birds sitting in the trees, as well as watching the deer walk through the yard, and providing a home for the purple martins every year. His love for horses was second to none. Some of his favourites were Neverhitseventeen and My Villa. He was very well known in the standard bred horse racing circuit. His garden was his passion and you couldn't visit the farm without seeing and enjoying the garden and taking a trunk load of vegetables home with you. He loved family gatherings and always loved the food. He would always put his family first, and make sure they didn't go without anything they needed. A Private Family Gathering will be held at a later date. Arrangements in care of Chelsea Krentz – Mourning Glory Funeral Services (306) 978-5200.